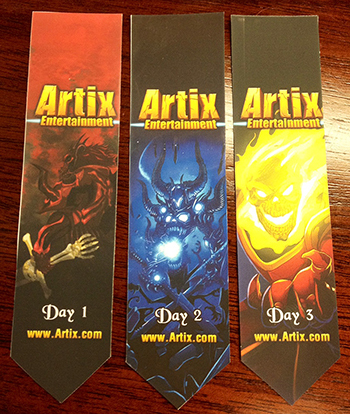 Message incoming from Artix, here to tell you about the new 2014 Poster Calendar at HeroMart! My favorite part of the design notes is sharing the behind the scenes stories of how we make things. Many of you have been with us for many years-- you have seen what I am about to talk about first hand. But if you are just joining us, this is an interesting point in the story to jump in! 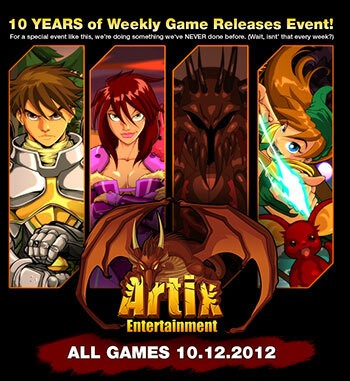 Behold, this year's brand new 2014 Artix Entertainment Calendar Poster! We created our first calendar 4 years ago. We worked really hard on it, using mostly Oishii's art (Oishii was the first artist to join the team.) It featured all of our female characters. The reaction was overwhelmingly "Uh... this is girly!" We even recieved a phone call from a parent asking if we had any that were more... you know... for boys. So, LOL, the next year Diozz joined the team. He created a more villain oriented calendar and it was recieved really well. We were able to make it thanks to Toys"R"Us to helped cover the costs of production. It sold out completely HeroMart, but, unlike our card game, it did not do well at all in Toys"R"Us. 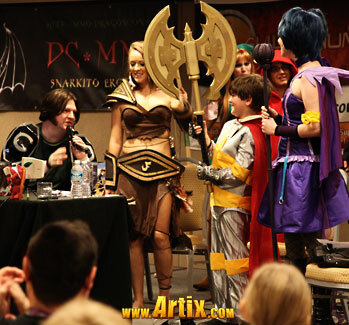 We actually bought calendars back from Toys"R"Us to put more on HeroMart that year. The following year, we created our first Calendar Poster. It was the coolest thing we had ever created. We made it double sided. The front side had the calendar on it. The idea was, when the year was over people could flip it over and it would be an awesome stand-alone-poster. Players loved it! This year, Diozz drew the scene above as a personal gift to me. 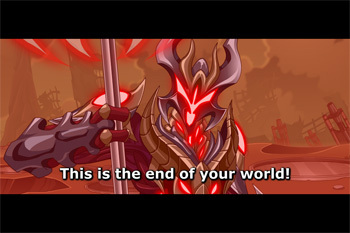 It was so... dark, dangerous, with a feeling of action and no matter how many undead surrounded Artix he was going to fight and fight and fight and win! I asked Diozz if we could use his art for this year's 2014 calendar and he smiled and said he was honored. 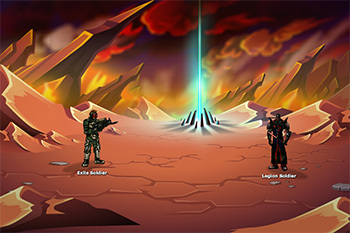 Dage spent several days digitally painting it. It was tricky because the original picture was landscape. We tried it, but a sideways poster just felt weird. 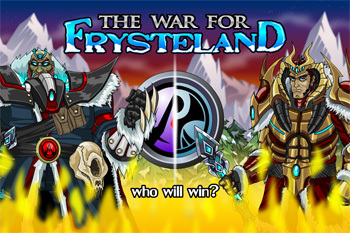 So Diozz and Dage spend a lot of time repainting and re-editing it to fit perfectly on a tall poster. 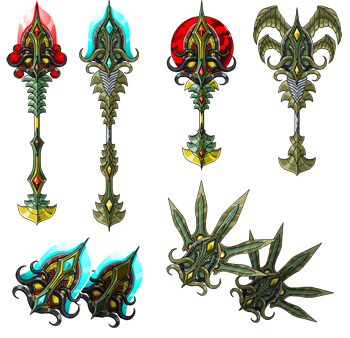 You probably want to hear about the class and items that come with it, but you can see all of that on the HeroMart site. I really wanted to share the story and love that went into creating this. The poster/calendar has become a new yearly tradition and this one... perfectly matches the new dark, epic, and heroic feel that we want to put into our games. If you get one -- I would love to see a picture of it on your wall! NOTE: To give our support and help those affected by Typhoon Haiyan/Yolanda, we will be donating 20% of all calendar profit to the Red Cross in the Philippines through the end of November. 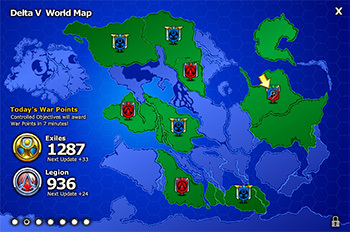 AdventureQuest Worlds has 1,329,791 players who live in the Philippines. 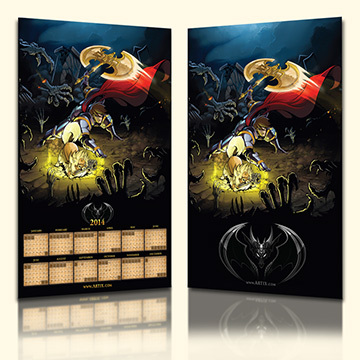 So if you are going to get a calendar, order it now—it feels better knowing your game stuff is chipping in for a good cause! 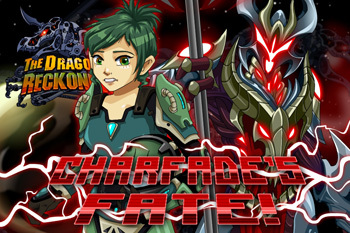 Hey there, EpicDuelists! It's your friendly neighborhood Cinderella here with a heaping helping of design notes! You may have noticed my conspicuous absence as of late (or not) -- and no, I'm not dead or fired. I'm winding down on my Master's degree (should be graduating at the end of the summer semester) and this has been the first time this semester I've been ahead enough on my thesis work, schoolwork, and teaching responsibilities to get a Design Notes post ready. So let's get right to it, shall we? 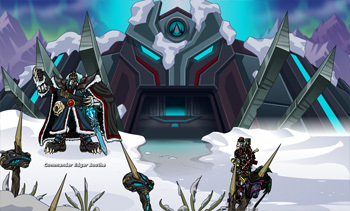 Longtime players will remember that Xraal's species was obliterated when they and the Bio Hazards were forced to cohabitate in the Biodome. The only ones lucky enough to survive were siblings and members of an intellectual/religious order -- the Archivists Xraal, Tamarill, Navarro, and Sekk. But there are rumors of another individual surviving -- the botany-obsessed Davarril. Surviving in the deepest underbrush of the Biological Preserve, Davarril has been able to harness plants' rudimentary nervous systems (no, seriously -- you can take electrophysiological readings from plants) to his benefit. Using a mind-control parasite (no, seriously, there are mind-control fungi), Davarril has brought into being abominable lichens (a mutualistic relationship between a plant and a fungus) ready to wreak beautiful destruction on the human world (ok, this part we made up). But Davarril is not fighting unopposed. Xraal and I need your help in sequencing genomes, building a proteome, and doing a little R&D on a possible weapon against these disgraces of phytology... on second thought, there's a lot of sensitive equipment. Better just collect samples. 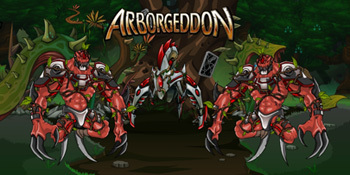 By battling other players, players can collect various spore samples which can be turned in to various Bio Dome NPCs for special prizes. The most prized spore is the Purified Spore. Xraal any I have been released an experimental antidote into the air filtration system of the Bio Dome. 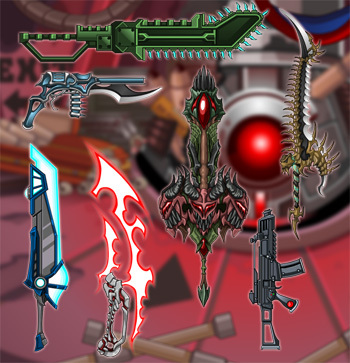 Some have decided to attach themselves to player weapons and armor. 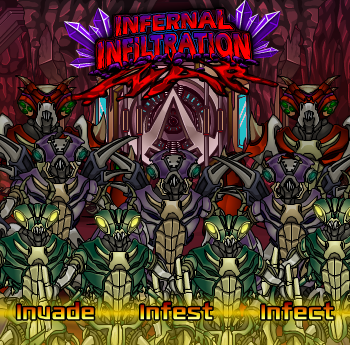 Collect as many as you can and release them to combat the vile spores released by Davarril and his minions. 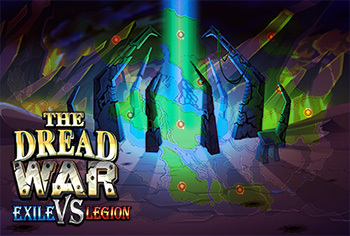 In addition to special War Prizes and more War Missions, players will be able to choose from a variety of plant-themed hairstyles to commemorate the occasion. More intense than a rose in your hair, that's for sure! 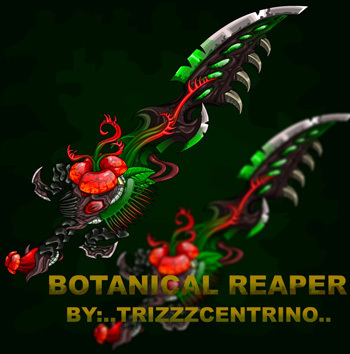 Also, we have a bountiful harvest of weapons from up and coming artist TrizZzCENTRINO for your sample collecting pleasure! 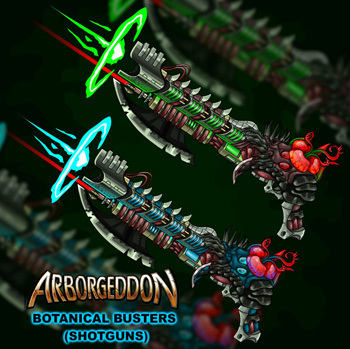 Also, Charfade has been hard at work creating an alien jungle worth of botanical furniture for use in your homes! 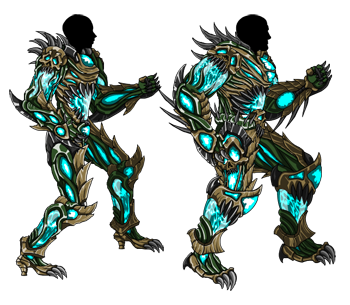 If you follow us on the Official EpicDuel Facebook page, you may have noticed that the option to send a message has been discontinued. 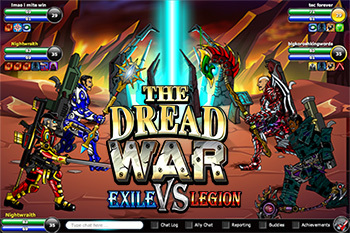 Part of this has to do with the fact that it was taking an inordinate amount of my time (I am the Facebook page administrator, and the one who responds as “EpicDuel”) responding to individual messages. There was a huge issue with players coming to me to try and get around help team decisions. 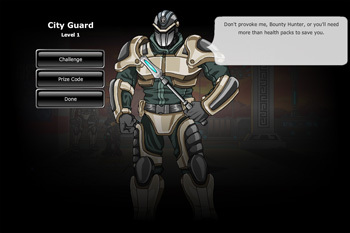 While I am more than happy to walk players through what they need to provide the Help Team, I am not authorized to override Help Team decisions, return “hacked” or scammed items/Varium, or change your username, password, or email address, or many other account issues. While you should never EVER give away your account username and password, sometimes we're not always vigilant about safety and fall victim to scammers. 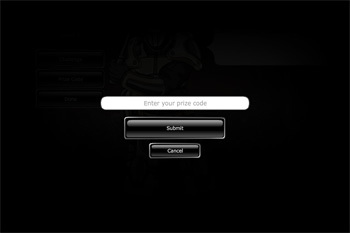 If that happens, you need to use the Account Recovery Page at portal.battleon.com. 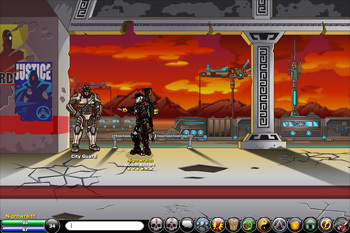 Another issue was players begging for items, pre-leveled accounts, hacks, Varium, and prize codes. 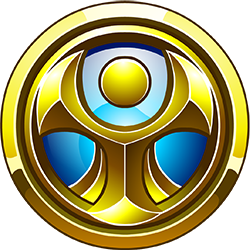 Prize codes are released at staff discretion, announced publicly, and are first-come/first-served with a finite number of times they can be redeemed. I cannot give individuals prize codes and they are not an entitlement for every player who “likes” a page or follows us on Twitter. I do realize that many players who ask me for things figure that the worst I can say is no, but when hundreds of players ask me the same question constantly, it becomes a drain emotionally and a drain on my time, especially when fans threaten to sue me, hurt me, or even kill me for not fulfilling their request. 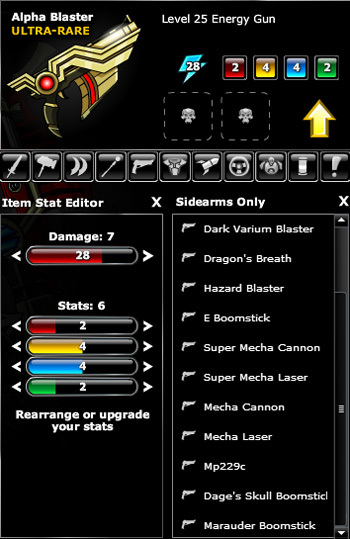 Ultimately, I'm moving away from the constant social media interaction to focus more on the creative side of EpicDuel Development. 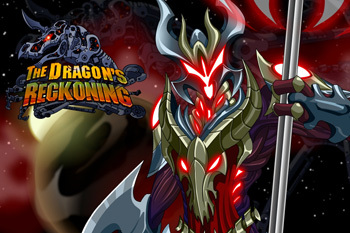 Again if you have any account issues, the proper contact is the Account Recovery Page at portal.battleon.com. And no, they won't give you a prize code either. I bet you've missed these! Recently, my mom (who is a teacher) found a caterpillar in her classroom, which her students insisted on keeping as a class pet. She brought it back to me for identification, and I've managed to identify it down to family. Members of the family Noctuidae are called owlet moths due to the eyespots on the wings of the adults of many species. The family is cosmopolitan, with species present worldwide. Noctuid caterpillars are important crop pests, including the cotton bollworm and corn armyworm are important crop pests in North America. With the increased reliance on transgenic crops, adaptation of these insects to the transgenic corn or cotton presents an issue for managers, but several management strategies are used to prevent resistance from developing to Bt corn or Bt cotton, which express toxic genes from the bacterium Bacillus thurigensis. These include crop rotation, use of multiple strains of Bt transgenic organisms, and the establishment of Bt free havens, to encourage the proliferation of non-resistant individuals. Call for Moderators and Testers! 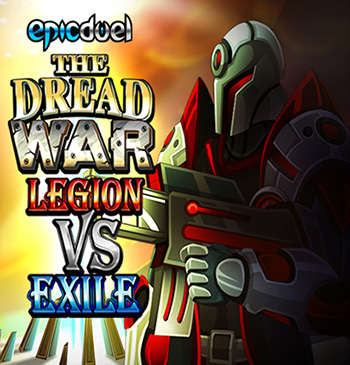 Hey there, EpicDuelists! As you may know (if you don't, then...well I can't help you) Omega is live, but testing is far from over! We are once again looking to expand our team! 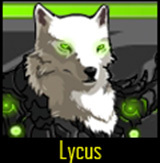 If you are interested in helping us, please read the official note from Lycus below. We don't have his avatar in yet, so I'm ghost posting for him (shhhhh!). 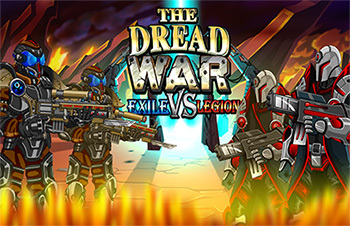 We are currently in need of a few more people to help out in keeping our game safe and helping with bringing our releases out faster and with fewer bugs! 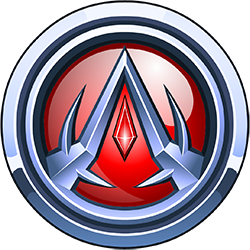 We pride ourselves on making the game with you and for you – many of the AE Staff began as regular players, some even very high up now, now is your chance to join our ranks! Due to the increase of players, the loss of a few members of staff and the fact we are still growing, we have need of some more hands to help with the responsibility of keeping the game safe for all players, old and new. We also need more help with the Testing our releases for bugs and helping out in the process of making sure everything is ready to go live! Testers are a team of dedicated volunteers led by myself who play through releases before they are released, on the development server, helping to find any bugs, suggest changes and make sure the release is ready to go live! They are expected to be online on Thursday and Fridays mainly, but potentially other days, depending on when releases are due to release. This role requires less time to be committed over the week, but more specific times (Preferably 3pm-7pm EST on Thursday/Friday). Moderators are a team of dedicated volunteers led Cinderella and I who help with in-game issues, deal with people who break the Terms of Service agreement and others of such! In short, they make the game safer and much more fun for everyone. This entitles a position that will expect you to be on most days of the week for a fair amount of time dealing with reports and other things. Note: Both positions involve a lot of responsibility, if you do not feel you can handle that, and then these posts are not for you. Becoming a Mod or Tester is not as easy or fun as it may seem, it comes with work! However it will look great on your CV (Resume) if you are looking for work experience, and it is always nice to help out a game you enjoy playing so much! Firstly, I would like to stress how important it is that you are OVER 18. If you are under 18, do not include your age in your application or you start off ‘I am not 18 yet, however…’ you will not even be considered. If you lie about your age, you will be blacklisted from any future Mod application processes regardless of your age then. So if you are under 18, wait, chances will come in the future, do not worry! Your real name, age and country of residence. Your CV (Resume) in English. You may indicate if you speak other languages, but you must speak English fluently to be considered. A cover letter describing yourself, why you want to be a Moderator or Tester and what you feel the position means. If you have not included all the above and your application is not complete, you will not be considered. Cinderella and myself will read all applications, so please only send ONE in - we also sadly will not be able to reply to every single email, sorry if you do not hear from us. If we decide to take you through to an interview we will contact you on the email you sent the email from, so please do try to keep an eye out. We will keep you all updated here on how the search is going and when it is going to end! Ability to upload videos in high resolution 720min 1024max to Youtube with no black letter box. Ability to met deadlines, 2-4 day turn around when project is assigned. Ability to collaborate ideas with the team as well as ask and accept constructive criticism. Has to have good communication skills and able to organize content for videos, then present information in a clear manner. Please link us to a sample of your work. 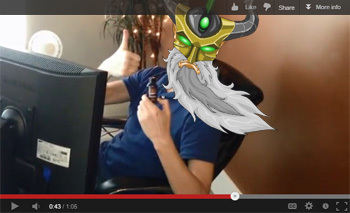 We will not allow you to assist with the Youtube channel without previous video experience! The video portion of the application process is entirely optional, but since those creating videos are privy to a great deal of behind-the-scenes development information, we require you pass through the same screening process as those who wish to moderator or test exclusively. 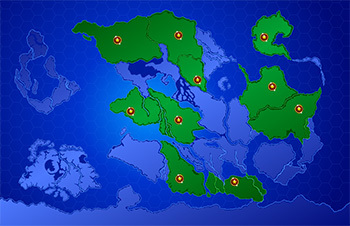 While I'm working on the conclusion of the newest Frysteland story arc, Nightwraith asked me to go into a little bit of depth about world building. One of the great things about a creative endeavor like this is that we can create a vast universe with a rich history, various cultures, and a vibrant future. This, however, presents various challenges. When building a world, an important thing to consider is where it falls on the Magic - Technology scale, and whether it's primitive or advanced. A sufficiently advanced magic-based world can have elements like browsing the ScryNet on your crystal ball and calling up the local IT Wizard to say a repair incantation over it when you can't read your m-mail or interstellar travel by means of dragon. A primitive technology-based society would involve a lot of bashing rocks together and the use of simple tools and machines. Using the Krampus creation myth as an example, I'll try to explore some of these challenges. One of the most exciting and difficult aspects of creating a culture is determining their beliefs and practices. While the Krampus are in part based upon ancient Northern European cultures, I've borrowed ideas from Native American Pueblo and Zuni people- for example, the idea of sacred spaces being below the ground- as well as some others. In contrast, Snork's race is based somewhat upon Slavs by way of Mexico. It's good to look at existing world cultures as well as existing fiction. I hadn't really codified the Krampus creation myth until called upon to think about the Endless, who as you'll recall is a powerful, immortal being who inhabits the Void. By necessity, any native peoples on Delta V will have to address the Void in their cosmology, so it makes logical sense to involve it in their creation story (in the case of the Krampus, they believe that their deities came from the Void). It's been previously established that the Krampus are a highly religious, superstitious culture, with alternations between agricultural and nomadic lifestyles. They are polytheistic and engage in some degree of ancestor worship, which is related to their belief that their race is descended from gods. Creation stories often have several elements in common, mainly how the world came to be, who the forces ruling the world are, where death, illness, etc. come from, among other issues. In a culture like the Krampus, where they have to survive in a harsh environment while warring with neighboring tribes, the opportunity to grow old and die would be considered a blessing rather than a punishment. Geography is going to play a huge role in how your culture's going to develop, so keep this in mind when trying to build a fictional world. Nomadic, warlike peoples in a harsh environment aren't necessarily going to have the same kinds of rites, practices, and values as an agrarian society. The challenge then is to integrate character, culture, and plot where they intersect. Your individual characters are going to have different experiences, and experience the same event differently because of personality, gender, age, etc. Think of your characters as people, but also think of them as tools. Don't get so involved with characters that you can't allow anything bad to happen to them- especially if the character is an Author Avatar. A common pitfall in writing characters based on the author is that they end up being too perfect, ie a “Mary Sue”. Whether you're writing an original story or fan fiction, should you have an author avatar character, you want to make sure that the character is flawed, that there are challenges the character needs help to overcome, and that you're not using the character for escape or wish fulfillment. Think of Sancho Panza, Hermione Granger, Professor Digory Kirke, Faramir/Beren, etc. Try to avoid comparisons to Bella Swan. This is especially challenging when writing for AE since many of the characters are blatant author avatars. When writing as Cinderella, I try to use how I would react to situations as a benchmark for how she reacts, and she'll say things I will actually say in conversation, and she shares some of my research interests. I do have to watch for wish-fulfillment in areas like her relationship with the Lawman (unfortunately, I will never get the chance to reconcile with my own father, but Cinderella may). When writing for a culture or peoples, you avoid the idea of a Race of Sues, or a Planet of Hats. Characters don't all have to be the last of their kind, or some kind of free-thinking radical, or otherwise extreme to be interesting. 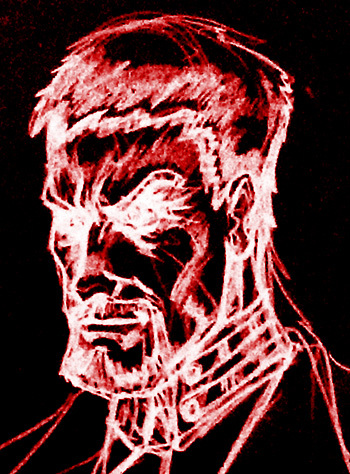 Every Citizen of Delta V doesn't have to be the Chosen Hero of the Exiles Who Will Save The Universe Singlehandedly. So, what does that leave us with? Beyond I'm sure turning all of you off of ever trying to write anything ever, I hope this gives you insight into how you have to think to be a successful (er... semi-successful) writer. 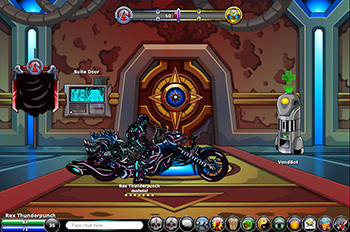 By keeping a log of in-world continuity, it can help against revelations or characters seeming forced- and address issues like “Why can't the Krampus just summon the Endless constantly?” or “Why haven't we seen this important Administrator yet?” In a serial work like this, you have to be able to seamlessly insert new information, or even make references that the player won't understand because of lack of exposition but that the existing characters know intimately. An exercise I use is just to write short stories about characters in their voices and frame them within the timeline. 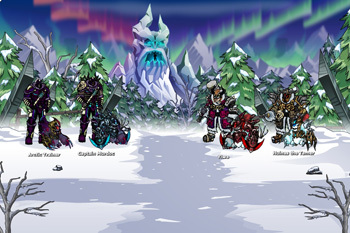 Most of this is never seen by players (though some is posted in the DN's) but it hopefully enriches the storyline and makes EpicDuel's universe an engaging world. In my part of the world, the leaves are changing, cool air is blowing on one’s face, everyone’s wearing (or, if you’re me, knitting) sweaters hats and gloves, and everything is pumpkin-flavored. Yes, it’s autumnn, and with the cool weather comes Nature’s bounty: a harvest. 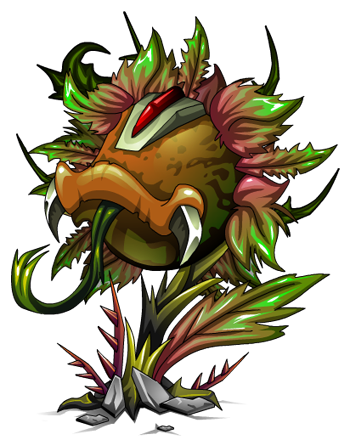 Delta V’s Harvest Festival is also soon approaching, with the return of last year’s Harvest content. 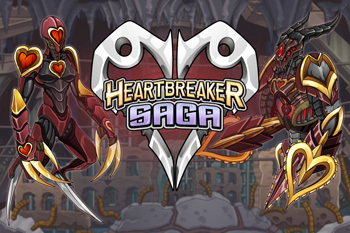 This includes missions, the Harvest Husk, and the Harvest Reaper and Soul Reaper. 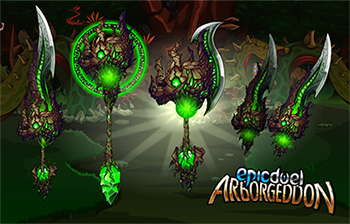 These powerful limited rare mutating weapons include a 13% chance to attack your enemy with a rain of gourdy pain with the Jack O Fire skill! 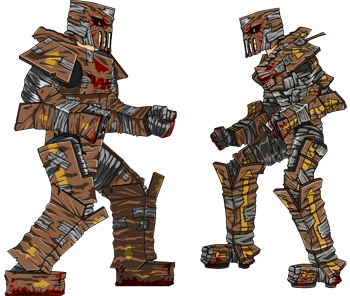 The Harvest is also pulling up some new Harvest content, such as the Cardboard Crusader. 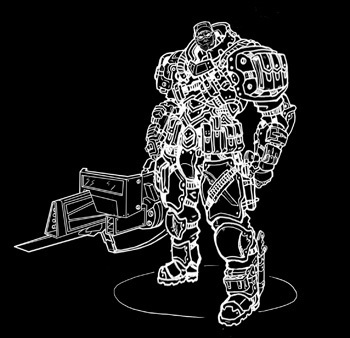 This armor will be available for credits... though you probably shouldn’t wear it outside in the rain. To commemorate the Harvest of Souls, Snork is forging an item commemorating his people’s history. What is it? 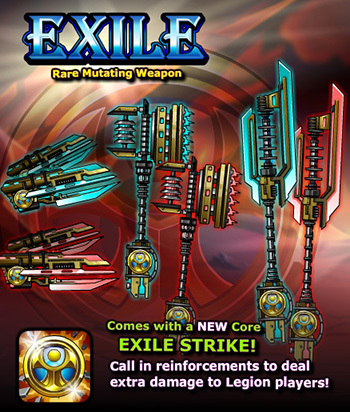 Well, he hasn’t told me, but he did say that the most valiant warriors who can prove themselves in armed combat with him will have a chance to hold this mysterious rare item! 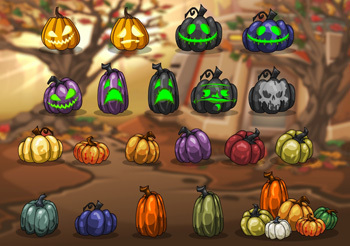 The amazing Charfade just revealed that she's created a big ol' pile of pumkins for your home decorating pleasure! Get your home ready for Trick and/or Treating this Friday! I Can Has Suggestions, Plz? *Massive apologies, but the Player Suggestion Shop will take a bit more time to finish. We tried to work through some technical difficulties, but ultimately couldn't finish it for today. We will have it out next Wednesday, fittingly enough, for Halloween! Stay tuned for more previews on Nightwraith's Twitter. As the cold autumn winds start to blow, now is the perfect time to acquire some coverings for your torsos! To help with this, HeroMart is introducing a new shirt to commemorate our 10 Year Anniversary as a company. 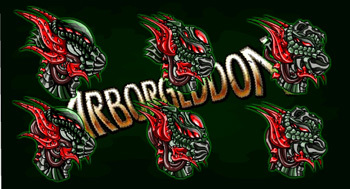 Among the bonuses this shirt will give in the other games, in EpicDuel you will receive an exclusive sword, Artix's Triumph. 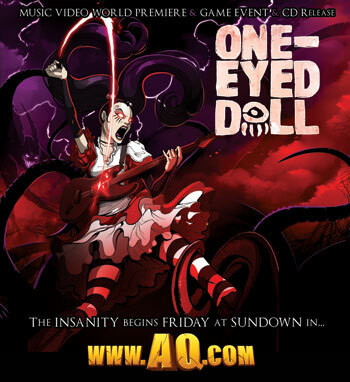 In addition to new shirts, HeroMart will also be stocking One-Eyed Doll's latest Album, "Something About a Dragon" which includes music from AE's games! 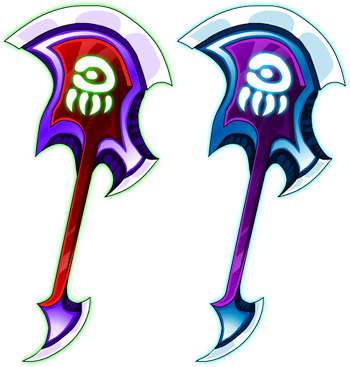 As an in-game reward for purchasing the CD, in EpicDuel you will receive both One-Eyed Axes! 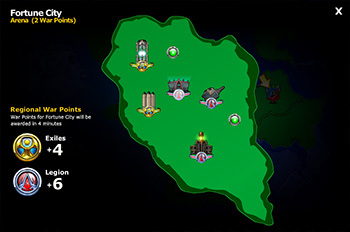 If you missed them in-game, this is the perfect opportunity to pick them up! 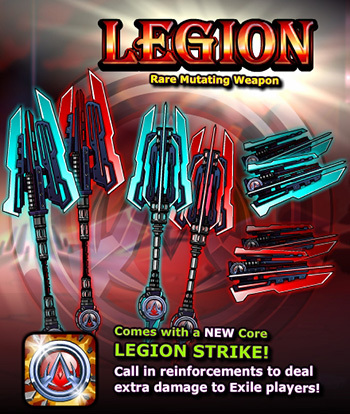 If you already have them, you'll still have an awesome CD and two weapons you can resell for bonus currency! Revamped Mercenary concept by Thyton!